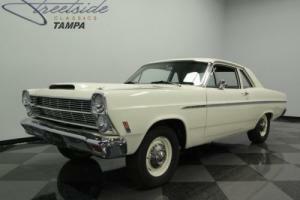 This 1966 Ford Fairlane is a tribute to the rare lightweight examples Ford sold a mere 57 units of back in 1966. 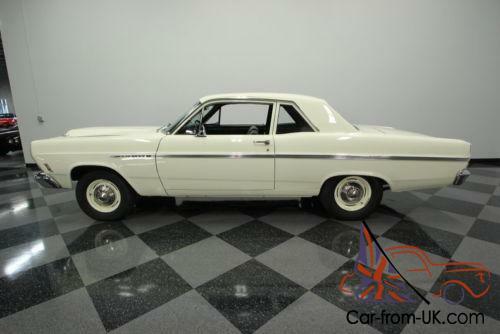 An authentic '66 Fairlane Lightweight would go six figures and then some but you can have this car for less than half the price! This car just underwent a painstaking nut & bolt restoration and is one of the nicest Fairlane's we've ever seen at Streetside Classics. This car was built with some rare parts as well. 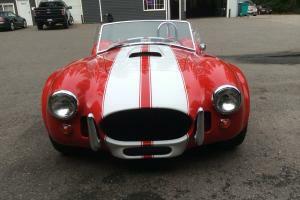 such as a full fiberglass hood and even fiberglass front fenders! This is an extremely detailed restoration with all chrome and trim pieces either refinished or replaced at significant cost to the seller. To make things better. the drivetrain has only about 1. 00 miles on everything and has been properly broken in for the next owner. 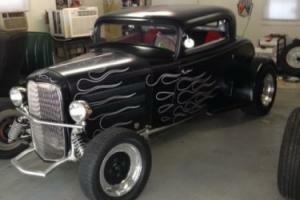 This Ford takes on an appearance somewhere in between a Fairlane GTA and the ultimate sleeper coupe. The body is beautifully finished in Wimbledon White that is understated in many situations but really pops in the sunlight. Again. this car has been restored with a superior attention to detail that can be seen in everything from the panel gaps to the chrome trim that has been expertly polished or replaced. That's a key point with these cars because the Fairlane's hallmarks are the bright wide bumpers and the shining grille as long as the horizon. The hint of rear-leaning stance makes this one look like a gasser ready to race. and there's no mistaking the lightweight fiberglass hood with hoodpins and GTA style scoop. But those steel wheels with original Ford stapled hubcaps still give this one that cool '60s sleeper appearance. Step inside. and almost everything will feel brand new. because it is! This is not just about restoring the major pieces like the seats. carpets. and door panels. but also this includes the little things that really make the difference like window stripping and sun visors. 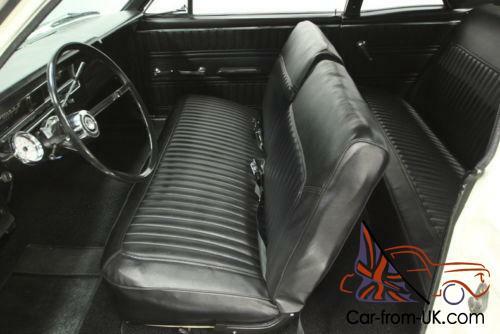 Your passengers might have plenty of space to spread out and stay in comfortable this heated/vented Fairlane. 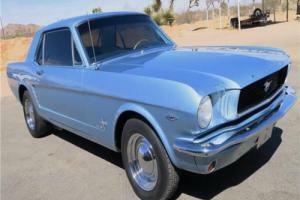 but it's apparent from the moment you get behind the wheel that this is a true driver's classic. The original gauge package is supplemented by a large SunPro tachometer mounted on the steering column. Also within eyesight is an auxiliary readout package with oil. water. and battery. All of this is a good indication that there is an exceptional motor worth keeping you constantly updated. 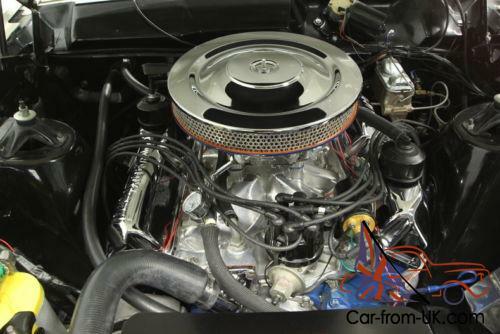 Under the hood is a rebuilt massive Ford 410 cubic-inch motor that has been bored . 040 over (making total displacement 417. ) This is barely broken in with 1. 00 miles on it since built. Plus. it has a host of performance goodies that includes 428 heads and crank. a four-barrel carburetor. Edelbrock hi-rise intake. and a mild camshaft. It breathes nicely through a set of long tube headers that connect to a MagnaFlow dual exhaust. The total package is dressed well with chrome on the valve covers and air cleaner. but more importantly. it makes over 450 horsepower (growling loud enough to let everyone know it. too!) You don't have to worry about keeping this monster motor cool thanks to a four-core aluminum radiator with electric fan. All this power gets to the ground via a fresh rollarized C6 three-speed automatic on its way to the Ford nine-inch rear end running new Daytona 3. 50 gears. Control is also well in hand with front disc brakes and modern BF Goodrich rubber at all four corners. Beautiful. comfortable. 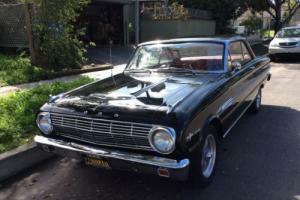 and wickedly fast - this Fairlane is everything you want in a custom build. Best of all. you'll be able to be the first one to really break it in since its body off restoration. Take a look at the undercarriage on this one and you'll why it's quite possibly one of the best 1966 Fairlane's in existence. Indeed. 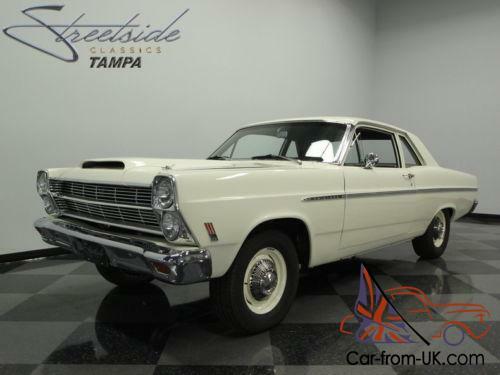 it might just be the finest Fairlane available today. Call now!! !